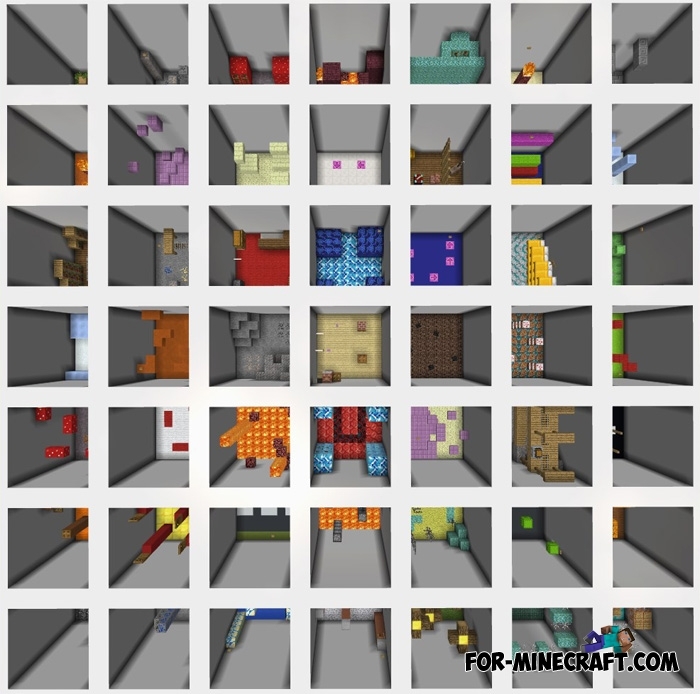 As the name suggests, this map offers you almost 50 beautiful levels in small rooms. You need to concentrate and go through each level one by one. Buttons are your goals, find them to go to the next stage. 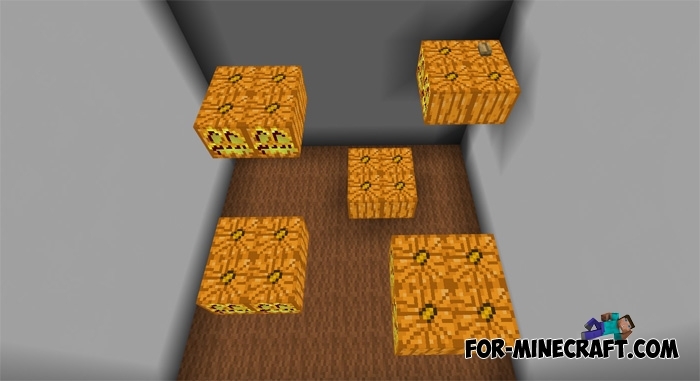 After clicking on it, you teleport further and ultimately visit completely different places. 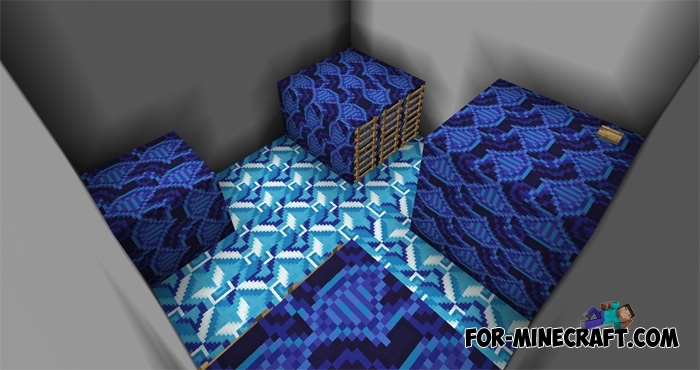 Some levels are built only of several types of blocks, others ones include fire and lava, but there are also very nice locations. If you have gone through the whole map, then turn on creative mode and fly up above the map to see the path you have covered.